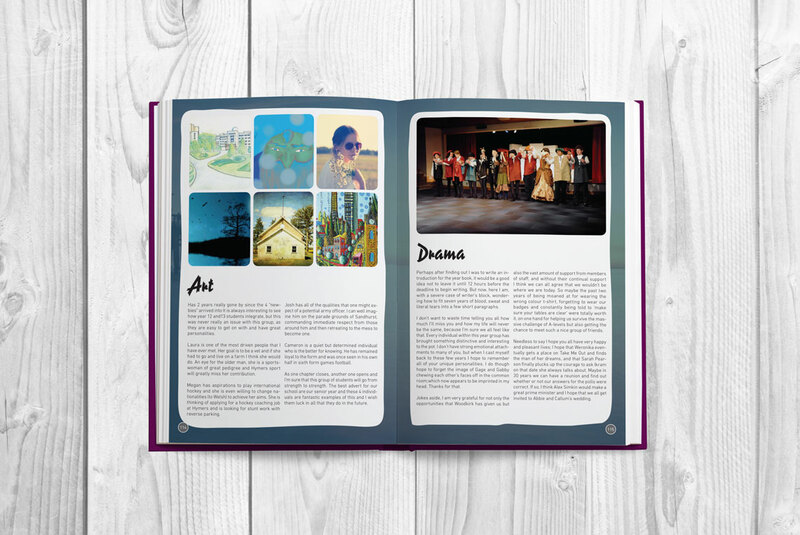 As returning customers of Yearbook Machine will know, our Article Page feature allows you to fit long-form text and photos on to pages in your book. This is great for adding depth to your project, as you can include articles about anything you like – sports teams, trips, extracurricular activities, messages from teachers/editors or anything else you think is worth writing about. Until recently, the Article Page feature in our system was effectively just a form to collect text and photos, which we then used to design each page by hand in our office in London. This was great in theory, but messy in practice: we ended up being swamped with articles to design in our busy periods, and, because each article was designed individually, ensuring consistency and quality required a lot of late nights! We made a big change to the Article Page system in November, meaning that now, the power to create Article Pages is in your hands. Our new Article Page system is completely self-service and automated, and allows you to create high-quality, professional Article Pages with a few clicks of your mouse. Today, we launched another major update, which adds an additional 9 styles to choose from and several other significant improvements to the underlying technology. We actually made the first version of our automated Article Page system in 2011 but ended up scrapping it because we didn’t feel that the results it produced were better than what could be produced by the designers in our office. This time, we’re confident that the new technology is a genuine improvement on what came before. Because each template is designed according to strict rules of grid theory and typography, you can be sure that every page made using the new system will be consistent and professional. We hope you have as much fun using it as we did building it! If you have any questions or comments about the new system, please don’t hesitate to get in touch – support@yearbook.com.